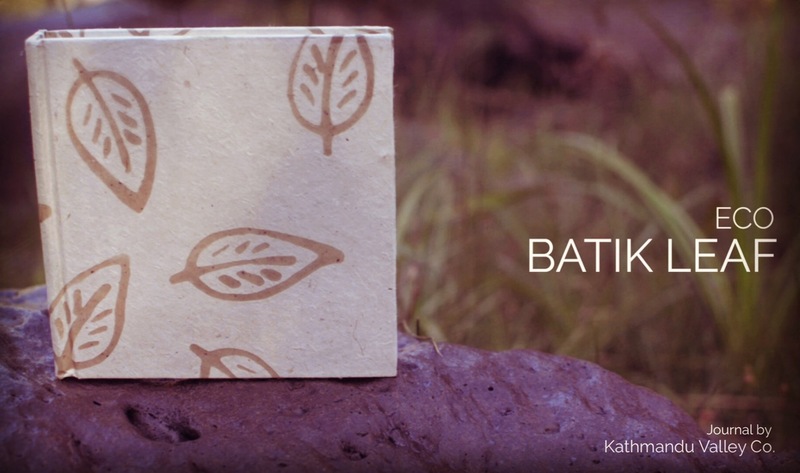 Eco Batik Leaf Journal by Kathmandu Valley Co. | Kathmandu Valley Co. 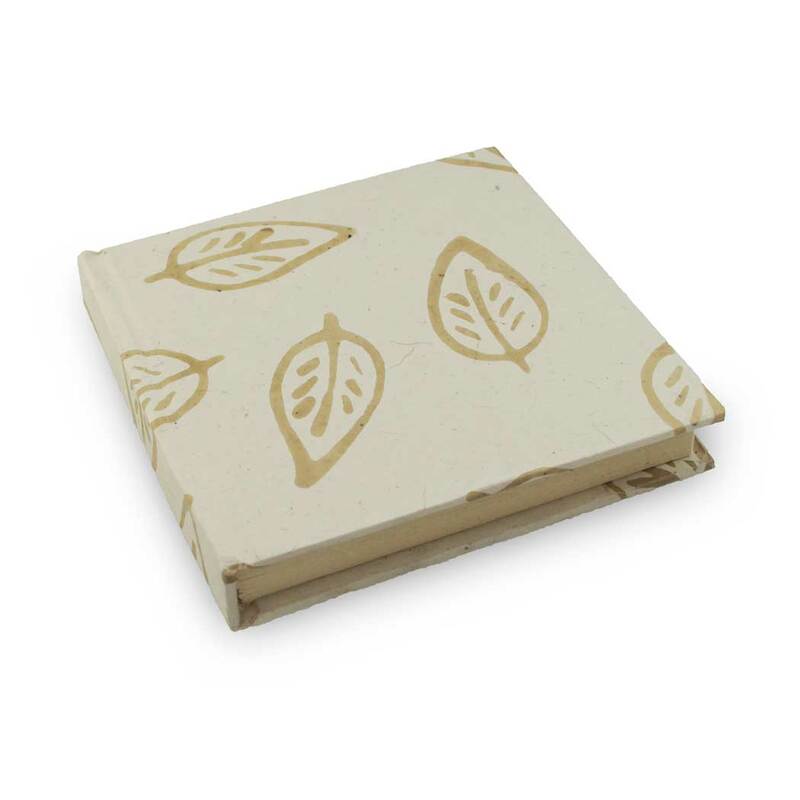 The cover pattern for each Batik Leaf Journal is unique making no two Eco Journals exactly the same. It’s the perfect note-taking for your unique adventures in life. The journal measures 6 x 6 inches. Capture your memories, thoughts or sketches on the 80 unlined, clean-cut pages (160 pages front/back). This Himalayan hand-crafted treasure supports the talented Nepalese artisans and preserves the thousand-year-old tradition of hand made paper in Nepal. Namaste. A tradition of over 1,000 years in Nepal, our 100% Lokta paper is not treated with bleach like other papers and is hand made in rural, high altitude villages of Nepal. The fibrous inner bark of the lokta bush is “cooked” into a pulp then spread on screens and sun-dried in the Himalayas. The beautiful texture from the process is characteristic of hand crafted lokta paper. Lokta paper has a beautiful texture containing natural flecks from the bush and can vary slightly in thickness from page to page due to the unique handcrafting process. Because the lokta bushes are not destroyed when cut, they grow back quickly, making them a sustainable and renewable paper source. The 80 clean-cut standard Lokta pages make it easy to get the page you need in the notebook. 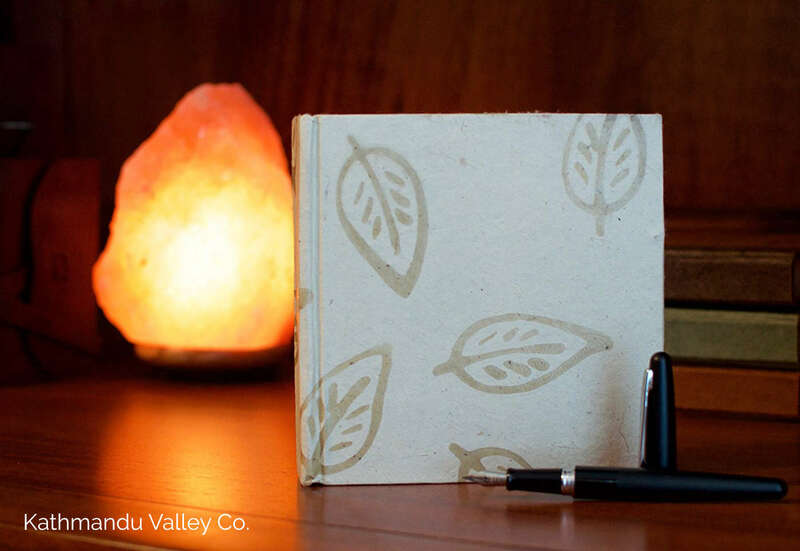 Include the Eco Batik notebook in your next adventure.